About six months ago, we published an interview with Dan Andreasen–the illustrator who does the Oliver + S paper dolls. 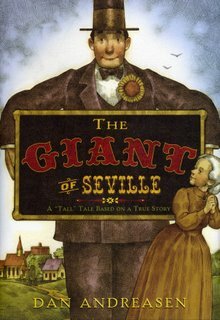 This week at the studio we came across a brand new copy of Dan’s recent book, The Giant of Seville, and thought that we would give it away to one of our blog readers. So if you would like to throw your hat into the ring, leave a comment on this post. We’ll pick the lucky winner later this week. Update: and the winner (thanks to our friendly random number generator) is … Tressa who posted the very first comment. Tressa, please email your mailing address to us at information@oliverands.com and we’ll mail the book to you. Thanks, everyone, for participating. I would love that book. Amazing cover–I’d love to read the whole book! Awesome book! I really really love the pattern illustrations as well. So clever to do paper dolls! I love Dan’s work; it has such a nice feeling to it! it looks like such a beautiful book. love your blog. love your patterns. thank you! I enjoyed that interview. Thanks for the giveaway. 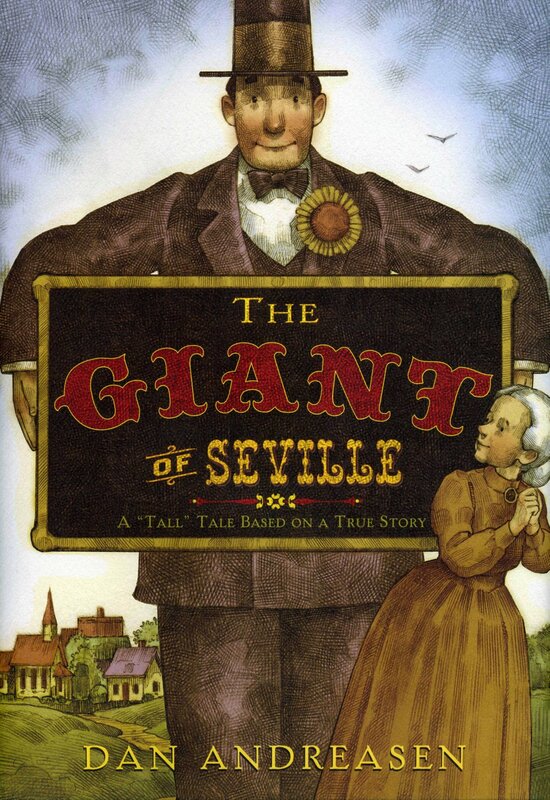 my daughter would love a fanciful, fun book like this! thanks! Awesome! I love the paper doll illustrations! Received the new patterns, they are soo great! I just got back from a work shop with Natalie in AL and plan to use some of her jersey for them. That really does look fantastic! I love giveaways and books! Delightful looking book! Would love to have it and read it to my little peanut! I just received my order of four gorgeous patterns! Can’t wait to get started on them! Thank you for all the beautful inspiration! Wow…gorgeous illustrations – it almost looks like a woodcut. Looks wonderful, thank you for the opportunity. i’ve always loved the illustrations on your patterns– so adorable! I think it was the illustration on the patterns that first attacted me i also loved playing with paper dolls. Please put my name in the drawing for the book giveaway. Thanks. I’d love to have a copy of this book. I would love to give this book to my daughter! What a kind idea…a giveaway. I would love to have a copy. Yes, please put me in the hat! Thanks for your great designs. love it! the illustrations are wonderful! I’d love to be included if international bloggers are OK!! Throwing my name in the hat! Looks like a wonderful book, if we don’t win we may just have to order it! Thank you for the chance! I love his artwork. books are my favorite guilty pleasure! Oohhh – count me in, I love his illustrations! Yes please, add my name to the hat! And thank you for your generosity! I love give-aways, I love books and love his illustrations. Please put my name in the hat! The book looks very cute! Please include me for the raffle. Also, may I complement you for the speedy shipping of the pattern I ordered directly from you. My toddler has claimed the paper dolls already. Thanks! Count me in … what a lovely illustration. Throwing my hat in too! thanks! Ooo, I am glad I stopped by. Looks fantastic – always great to have good books around. Thanks! Absolutely, put me in the hat! The illustration on the cover is wonderful. Thanks for making cute sewing patterns for kids! Thanks for the chance to win! What a cute book! I love the cover illustrations. Thank you for the chance to win! I love his illustrations! What a wonderful looking book. Fe Fi Fo Fum. I see a book that looks awfully fun.